Most popular celebrities have a solid following of devout fans, but I think you can truly say you've made it when the fan art starts rolling in. Lupita Nyong'o posted a photo featuring a digital painting of her beautiful face on Instagram this morning, and it seriously looks real. I've gotta say, art has hit new heights and I'm a total fan of this type of work. 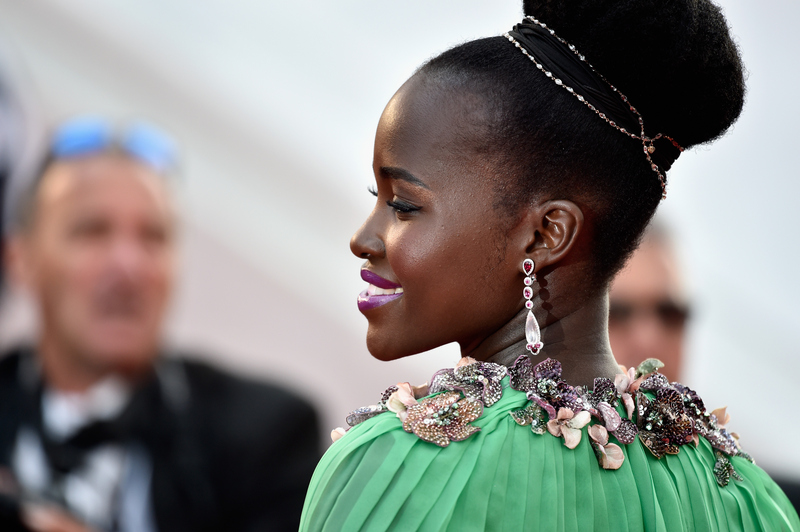 Lupita has quickly become a role model of sorts, with a thriving career and a personal style that is uniquely her own. With experience as an actress and a film director, plus a ground breaking role in the movie 12 Years a Slave, I am beyond excited to see what else she will step out to do. Not to mention the fact that People named her "The Most Beautiful Woman" in 2014. Talk about girl power! It's not just Lupita that has acquired a more artistic fan base. Other stars like Taylor Swift, Kendall Jenner, Kim Kardashian, Rihanna, and Beyonce have also been incredibly portrayed via fan art. Anyone that has the ability to capture physical beauty in ways other than a photograph deserves major props. From watercolor to photoshop, there are an endless amount of ways fans can prove their artistic devotion to their fans. Here are some of the coolest pieces of fan art I've seen!